SCasino (previously Swiss Casino) is a standard Playtech casino. They have been around for a long time (2001). At one time, they had a presence on our forum – but that was years ago. Licensed in Gibraltar, they are run by ElectraWorks Limited which is directly connected to Casino Las Vegas and Casino Club Casino. 5k per week. Please refer to their terms and conditions. 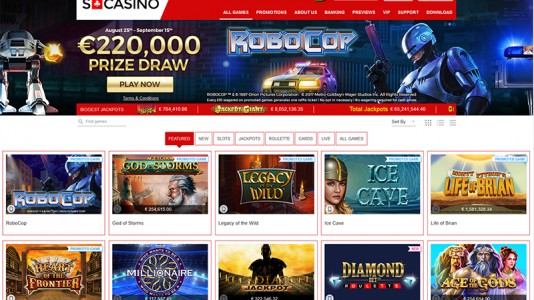 SCasino has the standard Playtech assortment of games. 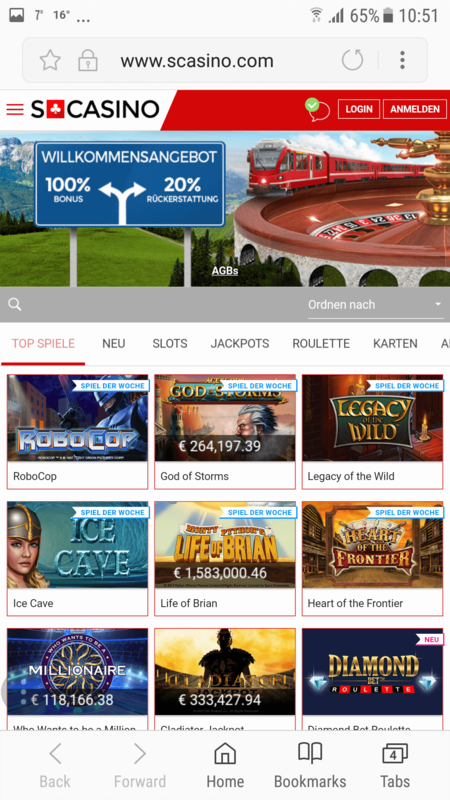 They are pretty much focused on slot games, live games are minimalistic – only ten are offered. SCasino’s Playtech games are mobile friendly and can be played on your phone or tablet. International players can phone us on + 800 727 89 130 and Canadian players on 1877 853 7126. Fax us on +800 1000 4601 (International) or 207 083 7335 (UK). SCasino has been around since 2001. They have had a pretty low profile – they were active on our forum years ago, but that was then – this is now.